Nero 2018 adds lots more functions and more movie styles making it THE choice for everything MultiMedia! Now with unique functions such as duplicate photo cleanup, new vertical video editing and export functions, auto black bar removal, as well as tons of new movie styles, disc menus and new movie archive playback, Nero 2018 is here to show true leadership as the premier multimedia suite solution. Karlsruhe, September 21, 2017. Launching today is the latest version of Nero 2018, the successful multimedia software for burning, copying, creating, editing, ripping, converting, playing and streaming media content. 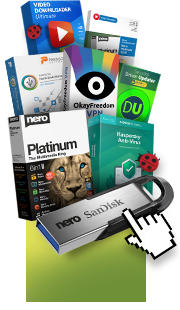 “Nero users have thousands of photos, videos and music files stored on lots of different devices such as smartphones, tablet PCs, laptops and desktops. Their media archives are getting bigger and more complex every day and happen to be a real pain point for all of our users” says Oliver Schneider Vice President Products at Nero. “Nero 2018 puts an end to this by highly optimizing the ways that users can organize their footage in a centralized place and create and play content faster, quicker, and easier than ever”. Movies & TV Shows. Many users have a collection of commercial movies and TV series stored on their PC to stream to their TV in the home network. Nero 2018 now has specialized organizing and playback views for movies and TV shows allowing the managing and playing of movies and TV shows easier than ever. Movie posters plus other embedded movie information as well as the ‘Play to TV’ streaming functions and Nero Streaming Player App makes for a very streamlined and enjoyable experience. Black Bars. Today’s users have numerous photo and video aspect ratios to handle in their wide screen video or slideshow projects, be it 4:3, 3:2, 1:1, 9:16, and more. Nero’s 1-click ‘black bar remover’ just puts an end to the omnipresent problem of black bars on users wide screen TV sets. Anyone wishing to get even more from their multimedia files can rely on the Nero Platinum 2018 suite, which provides all the functions of Nero Standard 2018 and delivers especially high-quality results for playback, video editing and output thanks to its advanced functions. Here, users requiring especially high quality will see their demands met. Movie Themes. Alongside over 300 additional effects, video filters and templates for video editing, Nero Platinum 2018 comes with a great range of new design templates. With brand new movie themes such as family, events, travel, pets, action, and more users can auto-create stunning movies in seconds. By simply dragging photos or videos into the template, users can now even better personalize their movies in a unique fashion. Moreover, users will be pleased about a range of new, high quality video disc menus allowing them to create Hollywood style playback menus for their DVDs and Blu-ray Discs™. Vertical Video. More and more users shoot video on their smartphone in vertical orientation but our TV sets are not made for viewing portrait. Now users can import, edit, and fine-tune their vertical footage in native portrait view and utilize the full power of multi-track editing, or just select one of the brand new vertical design video templates that help users create their vertical videos automatically. People now can easily create and share their fine-tuned vertical masterpieces with family and friends via social media channels, or simply send them back to their mobile devices wirelessly with Nero MediaHome WiFi sync, and carry them with them to show to family and friends. Nero DuplicateManager Photo in Nero 2018 Platinum helps to clean up users’ image archives. It finds and removes duplicate photo folders and photos quickly and safely and provides users a recommendation as to what is safe to delete. Meaning, only the wanted content remains in the archive and as a side effect, users will gain a remarkable portion of disc space back. Nero BackItUp. With the fully integrated Nero BackItUp users can do regular backups and easily restore their valuable data. Now they can even access and restore backups created with former versions of Nero BackItUp, and make use of the free mobile App of Nero BackItUp to simply backup their mobile data including phone data and messages – even wirelessly. ‘Nero Streaming Player App’, ‘Nero MediaHome WiFi Sync App’, ‘Nero AirBurn App’ are available for free in App Store and Google Play Store. In these stores plus Windows Store users can also get ‘Nero KowHow App’ – the Nero Learning Center. This app fully integrates into the Nero Suite on the PC when using Windows 10. Private users can buy a single licensed copy of Nero Standard 2018 or Nero Platinum 2018 Suite for MSRP $99.95 and MSRP $129.95 respectively online at www.nero.com or from retailers. Owners of a previous version of Nero can also upgrade at a special price. The familiar standalone solutions Nero Burning ROM ($49.95), Nero MediaHome Unlimited ($39.95), Nero Recode ($39.95) and Nero Video ($49.95 ) have also been enhanced with the relevant functions and can be purchased online at www.nero.com. Nero offers special volume licenses for companies, public agencies, educational institutions and non-profit organizations. These come in three versions: Nero Basic – Burning ROM 2018, Nero Premium 2018 and Nero Platinum 2018. You can obtain further information and download a 15-day test version and an overview of the complete range of products at www.nero.com. Nero and its product names are trademarks or registered trademarks of Nero AG. Other product and brand names may be trademarks or registered trademarks of their respective owners and do not imply affiliation with, sponsorship or endorsement by owners. © 2017 Nero AG. All rights reserved. Microsoft and Windows are trademarks or registered trademarks of Microsoft Corporation in the United States and other countries. Android and Google Play are trademarks or registered trademarks of Google, Inc.